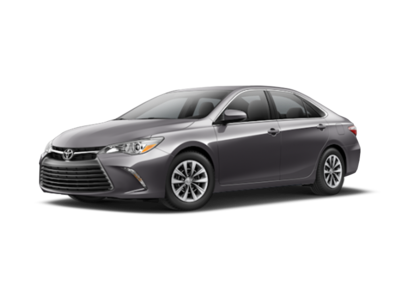 Ranking tenth for Best Gas Mileage Mid Size Cars is the 2014 Toyota Camry. Current inventory meeting this criteria averages 40,123 miles. The 2014 Camry achieves a combined MPG figure of 27. Scroll down to see what's available in your area right now. Slotting in at ninth for Best Gas Mileage Mid Size Cars is the 2015 Kia Optima. Current inventory meeting this criteria averages 33,177 miles. Fuel economy is rated at 26 MPG combined. Scroll down to see what inventory is available in your area - hurry, before these great deals sell out! Ranking eigth for Best Gas Mileage Mid Size Cars is the 2015 Chrysler 200. Current inventory meeting this criteria averages 36,850 miles. 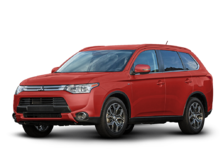 The 2015 200 achieves a combined MPG figure of 25. Scroll down to see what inventory is available in your area - hurry, before these great deals sell out! Slotting in at seventh for Best Gas Mileage Mid Size Cars is the 2014 Volkswagen Passat. Current inventory meeting this criteria averages 37,755 miles. The 2014 Passat achieves a combined MPG figure of 27. Scroll down to see what inventory is available in your area - hurry, before these great deals sell out! The 2014 Honda Accord is number 6 in our list for Best Gas Mileage Mid Size Cars. Current inventory meeting this criteria averages 37,891 miles. Fuel economy is rated at 28 MPG combined. Scroll down to see what inventory is available in your area - hurry, before these great deals sell out! 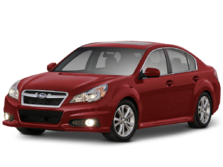 Ranking fifth for Best Gas Mileage Mid Size Cars is the 2015 Subaru Legacy. Current inventory meeting this criteria averages 36,367 miles. Fuel economy is rated at 28 MPG combined. Scroll down to see available inventory for 2015 Legacys in your area. 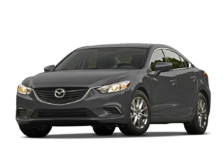 The 2015 Mazda MAZDA6 ranks fourth for Best Gas Mileage Mid Size Cars. Current inventory meeting this criteria averages 35,391 miles. Fuel economy is rated at 30 MPG combined. Scroll down to see what inventory is available in your area - hurry, before these great deals sell out! The 2015 Nissan Altima is number 3 in our list for Best Gas Mileage Mid Size Cars. Current inventory meeting this criteria averages 36,327 miles. The 2015 Altima achieves a combined MPG figure of 29. Scroll down to see what inventory is available in your area - hurry, before these great deals sell out! 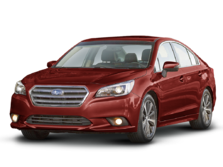 Ranking second for Best Gas Mileage Mid Size Cars is the 2015 Hyundai Sonata. Current inventory meeting this criteria averages 33,861 miles. The 2015 Sonata achieves a combined MPG figure of 28. Scroll down to see what's available in your area right now. Coming in at number 1 in our list of Best Gas Mileage Mid Size Cars is the 2015 Chevrolet Malibu. Current inventory meeting this criteria averages 31,936 miles. Fuel economy is rated at 28 MPG combined. Take a look below to find the Malibu in your area that suits you best!